DALLAS, TX--(Marketwired - Sep 29, 2016) - All-Star Orthopaedics, a local sports medicine practice, recently announced that one of its Dallas orthopaedic surgeons received a Five Star Spirit Award from Baylor Scott & White Medical Center Grapevine. Dr. Mark S. Greenberg, the recipient, says he is honored to accept this accolade, which is designed to identify staff members who provide exemplary service and show a commitment to patient care. Patient feedback can be an excellent metric for determining quality of service -- and it is one that Baylor Scott & White hospital uses to identify high-performing employees. Guests, employees, and physicians are encouraged to nominate any team member they observe going above and beyond the call of duty, or otherwise performing their responsibilities with exceptional care. Dr. Greenberg was endorsed by the mother of a former patient, who applauded his "skill, care, and compassion" in treating her daughter as well as his kind, thoughtful, and attentive treatment of the family as a whole. Dr. Greenberg received a copy of the hand-written nomination and a letter from the Chief Medical Officer of Baylor Scott & White announcing his inclusion in this year's Five Star Spirit Award list. All-Star Orthopaedics says that the practice's extensively trained doctors are all dedicated to providing uncompromising orthopaedic care both at their state-of-the-art facility and at local hospitals like Baylor Scott & White. The sports medicine practice adds that it is proud to call Dr. Greenberg a member of the team, as he exemplifies the patient-focused approach that is a hallmark of the All-Star Orthopaedics philosophy. Dr. Mark Greenberg is a board certified orthopaedic surgeon and member of the All-Star Orthopaedics practice in the Dallas, Irving, Southlake, and Flower Mound area. He earned his undergraduate degree at the University of Texas at Austin and medical degree from the University of Texas Southwestern Medical School. He completed additional medical training at the University of Oklahoma and the American Sports Medicine Institute in Birmingham. Dr. Greenberg is an active member of several esteemed medical organizations, including the American Sports Medicine Fellowship Society and the American Orthopaedic Society for Sports Medicine. He is available for interview upon request. 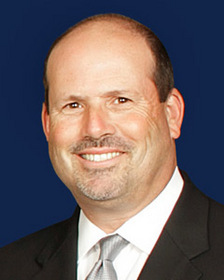 For more information about Dr. Greenberg and his practice, please visit allstarortho.com and facebook.com/allstarortho.